Please review this code of conduct with your students before their visit, to help maximize your enjoyment of your tour. Our Vision: An inclusive society inspired by the convergence of art and history. Our Mission: To be a cultural hub that provides integrative art and regional history programs to encourage new perspectives and foster a collaborative community. 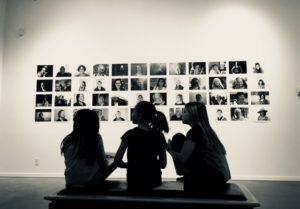 At Touchstones Nelson, we are proud to offer fun and educational programs that work with the provincial curriculum to make history and art come to life for your class. Please get in touch to discuss your needs and find out how we can support student learning. Our museum features rotating exhibits on art and history in two main-floor galleries, as well as a permanent exhibition on the second floor. Our trained docents (volunteer guides) help bring history and art to life for your students, so to truly get the most out of your visit we recommend you book a guided tour. Docent-led tours are available on Tuesday, Wednesday, or Thursday, dependent on volunteer availability. Touchstones Nelson also features two galleries displaying art and history exhibitions that change quarterly. 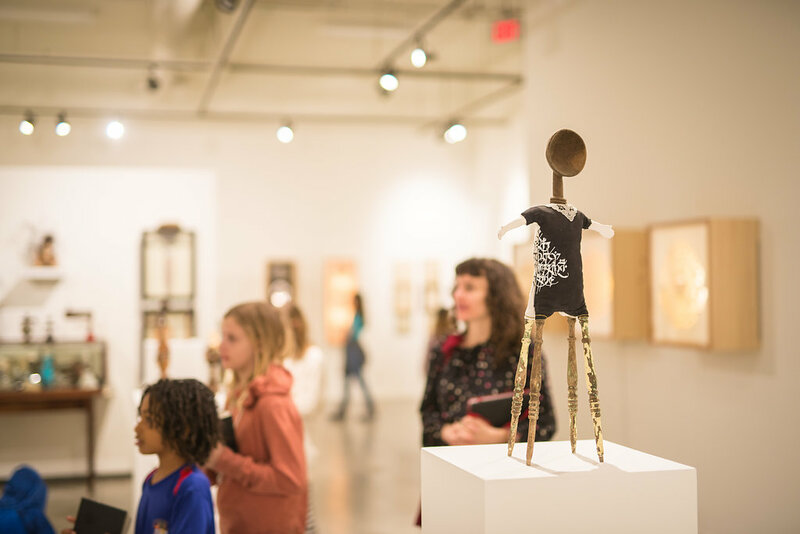 Contact us to ask about current exhibition programming including docent-led tours and rotating visual art activities based on the changing shows in our first-floor galleries. You can also visit our current exhibitions page to find out more. Working with primary resources in the archives, examining archived copies of the Nelson Daily Newspaper, students will explore early 20th Century history, particularly World War I & World War II. Curriculum links: Social Studies – inquiry processes and skills for asking questions; gather, interpret and analyze ideas; communicating findings and decisions. Who are the people who made this area home over the centuries? What are the stories that they can tell us? Students will use the Touchstones permanent collection as a launching point to explore the community’s heritage through hands-on activities with volunteer docents, which may include interacting with artifacts, role-playing, scavenger hunts, and audio-visual displays. We are in the process of developing new themes and programs, coming in Fall 2018! Students will explore the theme of Stewardship and Ownership by examining the diverse values and ideas of different cultural groups to our natural environment here in the Kootenays, the landscape we live in and the resources we share. Students will explore the impact of cross-cultural contact, the benefits and disadvantages in relation to peoples’ wants and needs. This tour will look at cross-cultural connections and a historical overview of mining, forestry, hydroelectricity and tourism in the region. We will also touch on modern environmental movements of today and how they work to shape the stewardship of the land and the water in our region. Exploring how the quest for natural resources changes the land, people, and communities of Canada. Examine how interactions between First Peoples and Europeans continues to shape Canada’s identity. Touchstones Nelson is fully committed to meeting the Truth and Reconciliation Commission of Canada’s Calls to Action. Along with the Canadian Museums Association and Library and Archives Canada, we are in the process of reviewing and updating our museum policies and best practices in collaboration with local Indigenous peoples, including the Sinixt, Ktunaxa, Metis and Sylix communities of the region. 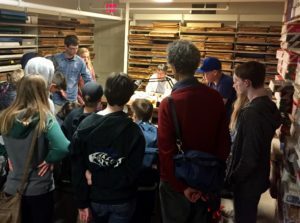 Educational programming and community engagement with collections is vital to the reconciliation process for museums and archives, but we will ensure that engagement is spearheaded by Indigenous communities themselves. In the coming school year our Indigenous programming will be guided by the reconciliation process, shaped by an Indigenous Educator. School classes will be invited to take part beginning in Fall 2018, and registration will be limited and on a first-come, first-serve basis. The “First Nations Tour” that has been offered in the past is no longer available. Come and explore our permanent museum exhibition and our gallery spaces at your own pace. Students can enjoy interactive displays in the museum, and scavenger hunt sheets can be picked up at the front desk for a self-directed activity. Docent-led tours of Touchstones Nelson usually take 1 to 1.5 hours depending on your chosen activity and other factors. To get the most out of your visit, docent-led tours must be booked two weeks in advance, which gives you time to speak with our programming coordinator about preparing for your visit. Self-guided visits should be booked one week in advance to prevent double bookings. While we prefer class size to be no more than 25 students we can accommodate larger groups when the tour is booked ahead of time and dependent on volunteer availability. Touchstones Nelson’s Child Protection Policy requires one chaperone for every 5 to 7 elementary school aged children. There is no charge for chaperones. For current fees, more information or to book a tour or school visit call 250.352.9813, or email our School Programs Coordinator at schools@touchstonesnelson.ca. Please download a PDF version of our school booking form and fill out to request your tour.